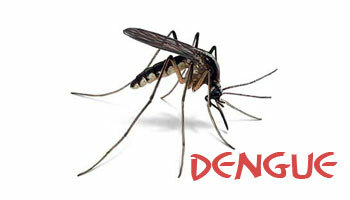 New Delhi : Dengue fever may prove to be deadly for patients already suffering from heart diseases, experts have warned. Transmitted by mosquito bite, dengue has become a seasonal epidemic in India. It affects infants, young children and adults with symptoms appearing 3-14 days after the infective bite. “In case of a heart patient suffering from dengue, there is often platelet deficiencies resulting in a critical situation. Continuing Aspirin in these patients can prove to be fatal,” said Upendra Kaul, Dean and Executive Director (Clinical Research and Academics) at Fortis Healthcare, in a statement. “If someone has dengue fever coupled with chest discomfort, shortness of breath, unnecessary fatigue, they must immediately approach a doctor and get their electrocardiography (ECG) and echocardiogram (ECHO) done to rule out the possibility of heart involvement,” Kaul added. According to Kaul, 50 per cent dengue fever patients with no prior heart ailments showed temporary malfunction in their heart. The malfunction consisted of atrial fibrillation (an irregular, often rapid heart rate that commonly causes poor blood flow), enhanced ectophy (a disturbance of the cardiac rhythm), and sinus bradycardia that leads to slower heart rate. Patients also showed conduction abnormalities like skipped heartbeats or rapid or forceful heartbeats. Further, 31 per cent of patients showed diastolic dysfunction, i.e. decline in performance of one ventricle, the main chamber of the heart. “Early detection can avert heart disease progression,” Kaul said.